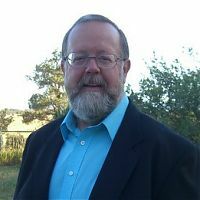 Last month, Bruce Whitehead announced he was retiring after more than a decade as executive director of the Southwestern Water Conservation District, which is charged with conserving and developing water in nine Southwest Colorado counties. Now, the search is on to replace Whitehead, a task that has prompted SWCD board members to analyze the agency’s mission and the way it does business in the face of challenges brought on by drought and climate change. This week, the SWCD board held work sessions in Durango aimed at this endeavor, having guest speakers Friday lay out the realities of climate change in Southwest Colorado. Brad Udall, a senior water and climate research scientist at Colorado State University, said, first and foremost, climate change is happening and having impacts all over the world. Bob Wolff, president of the water district board and representing La Plata County, said Whitehead’s institutional knowledge and experience are going to be hard to replace.